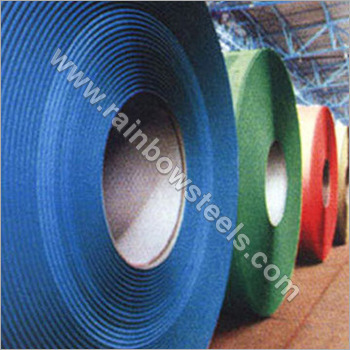 We hold our place as an eminent Steel Coils Manufacturer which are widely used in electric box body, construction industry, roofing, automobile industry and in households. These Pre Painted Steel Coils are fabricated and galvanized properly which gives them a proper surface strength with accurate dimensional finish. As a leading Painted Steel Coil Exporter, we have been able to offer a range of high-grade products to our clients, meeting their every requirement. Our products are available in different sizes, shapes and designs which give a wide option to clients in choosing their desired range.